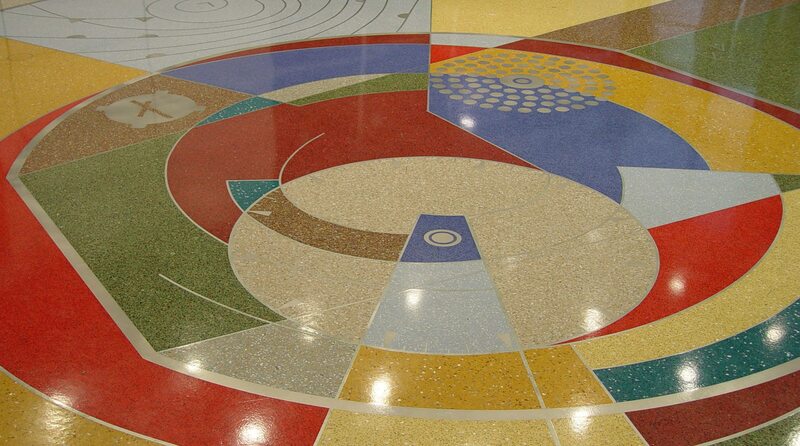 Terrazzo flooring has a long and rich history that dates back over 1500 years. Terrazzo, from the Italian word for terraces, is one of the original recycled products – created centuries ago by Venetian workers utilizing the waste chips from slab marble processing. Today terrazzo flooring continues to provide the ultimate in low maintenance and durability, typically lasting the life of the building. Combine that with the lower cost and environmental advantages of EnviroGlas crushed glass aggregate and it is easy to see why Terrazzo is undergoing a Renaissance. The time is right for a product that truly makes the world a more beautiful place. The time is right for EnviroGlas. The Company With Integrity.